Congratulations and well done, you two! One of the most talked about love teams just made their dreams come true! Last January 25th, #Hashtags member Charles Kieron and PBB alumni Vivoree Esclito, or simply KierVi to their fans, held a a sold-out concert at the SM North Edsa Skydome to launch their debut album "CK & Vivoree"--a project that started after they received such positive response for their viral cover of "Rewrite the Stars" from The Greatest Showman, which hit over 2 million views on YouTube! 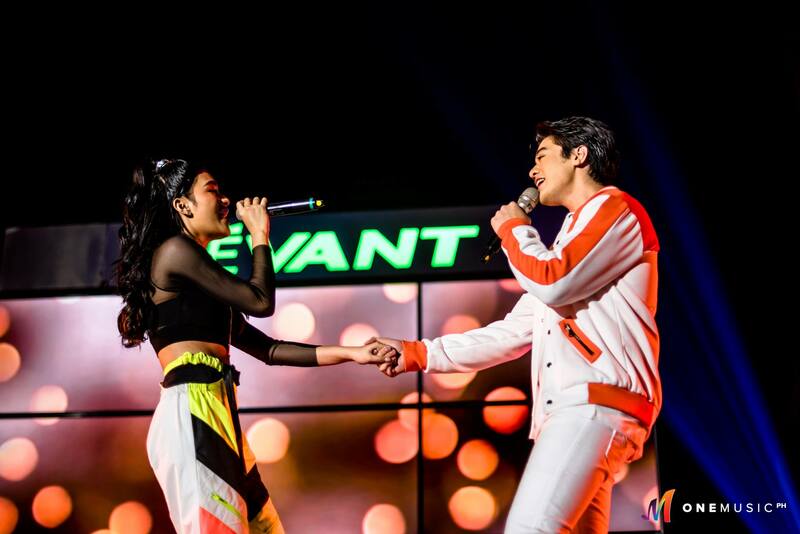 The pair showed their off-the-charts chemistry as they performed tracks off their album such as "Laro," "I.A.A (Ikaw Ang Anghel)," "Hayaan Na Lang," "Mga Halik," which was written by former Be Discovered Artist Volts Vallejo, "Mga Halik," "Postcard," and of course, the fan favorite "May Tama Ka" that was released before launching the full album. They even sang a few covers that evening, with Vivoree bringing out her guitar to sing "I Won't Give Up" by Jason Mraz and CK performing "Questions" by Chris Brown. But not only did they serenade their audience, they also showed off their moves with a few dance segments, even calling up a few fans to join them onstage to do the viral Switch It Up Challenge with them. Needless to say, their fans were delighted to become a part of the show. So naturally, they decided to prepare a surprise video tribute for CK and Vivoree. While watching the video on the screen, the two young artists became visibly emotional. And in response, they thanked their fans for their unending support since embarking on this journey in a heartfelt speech. "Hindi ko lubos maisip na dadating ako ngayon dito," Vivoree said. "I have to admit that I was hopeless. I lost belief in myself. But then I saw your dedication; I saw how you loved us, I saw how you supported us, and grabe, wala na akong masabi." CK followed that up addressing Vivoree, saying "Sobrang saya ko lang dahil ito na 'yon, eh. Ito yung pangarap nating dalawa," prompting huge cheers from the crowd. This album marks the beginning of a new chapter in their lives, and for sure will hold a special place in their hearts as they gear up for new projects and challenges ahead. If you weren't able to make it to the album launch last Friday, you can check out photos of the event on the One Music PH Facebook page. Have you listened to the full album on Spotify yet? Which one is your favorite? Comment below! ICYMI: Jej Vinson makes it to the Top 24 on The Voice! The Rakrakan Festival is BACK! Rest In Peace, Pepe Smith!